We are rather unique in the business brokerage world in that we are business brokers and business coaches. Every associate has personally owned a successful business, so we have walked in your shoes. We are motivated to find the best solution for our business owner clients, even though that may mean not selling your business at this present time. Now don’t get me wrong. When a business owner is ready to sell, we are the best at getting that done. We are experts at matching the right business seller with the right business buyer and getting top dollar within the shortest amount of time. But frequently we are contacted by a business owner who is ready to get rid of their business. In many cases an event such as an economic hardship, a health crisis, a divorce, or some other issue might be the root cause of owner burnout.In that situation a discouraged business owner might be tempted to “dump” the business at any cost just to rid them of the problem. This can be a costly mistake; a discouraged business owner can leave a lot on the table. You should sell your company when you are in a position of strength. That is when you love your business and you would only sell it for a very rewarding price, the right terms and on your timing. Since most business brokers are only rewarded when they sell a business, they might be tempted to advise you to sell in order to capture your business listing for a year. They may tell you that your business is worth a lot of money to get your listing, only then to later pressure you to lower the price. Some business brokers will charge a high upfront fee, and then make little effort to sell your company. We take the opposite approach if a business is in a position of weakness. We will tell you the truth about your business value and the likelihood of selling it. If that likelihood is not high we will encourage you to work on your business to build value. We will help you to find ways to make more profits and grow your sales. We work you to get your business into that position of strength. And then many business owners don’t want to sell anymore! They love their business again. Since we are business brokers and business coaches, we can serve business owners to their best solution. Comprehensive Buyer Profile- This extensive profile helps business buyers to understand businesses that would be the very best fit for their background, personality and lifestyle. Doing so narrows the focus to only the best types of businesses for that particular buyer. Our B.A.S.E. 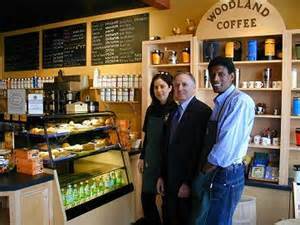 Program- This program helps individual and corporate buyers find and buy businesses that are not presently for sale. We have developed a system by which we identify the right businesses and market our business buyer clients to purchase the business at below market prices. Business Coaching Programs- These award winning programs are guaranteed to increase your business profits. They are designed to create high performance organizations.